There are three railway stations in Tianjin: East Railway Station, West Railway Station and North Railway Station. East Railway Station, also called Tianjin Railway Station, is the largest and most important passenger station of the three. Tianjin Railway Station will be connected to the Tianjin Metro network. The new Lines 2 and 3 and an extension of the Binhai Mass Transit (Line 9) will intersect at the station. Public bus: No. 5, 7, 8 and 13. 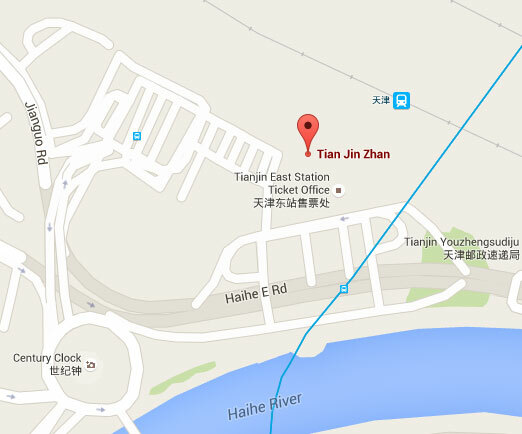 Tianjin Railway Station ticket booking tel: 022-24250263 (see Note below). 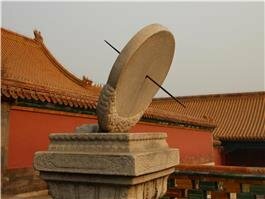 Tianjin West Station ticket booking tel: 022-26189803. Tianjin North Station ticket office consulting tel: 022-26181162. Booking service is available from 8:30 till 6:00 PM. No ticket delivery service is available yet. Tickets for trains you&apos;d catch within the Tianjin Railway Station can be booked three to four days ahead (including the current day). On-line tickets for trains setting out from Beijing to other regions can be booked 12 days ahead. Services: passenger transfer, and baggage and parcel consignment. Tianjin Railway Station was built in 1888, and it was called Laolongtou Station (Old Dragon Head Station). It was later called the Tianjin East Railway Station after the completion of the Tianjin West Railway Station. The building was rebuilt in 1988. A bullet train line to the station was completed in 2008. 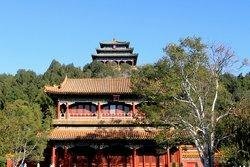 It is called Beijing–Tianjin Intercity Railway. It is designed for a maximum speed of 350 kilometers per hour (217 mph). The CRH trains running on the line now can reach speeds of 330 kilometers per hour (205 mph). These are some of the fastest trains in the world. Tianjin Railway Station is located in the city center where Heping, Hedong and Hebei districts meet, and it is on the shore of the Haihe River. 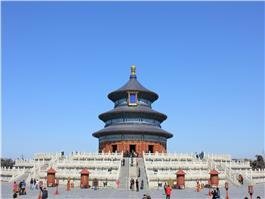 It serves as Tianjin&apos;s main railway transportation hub. The Tianjin Railway Station area consists of five sections: the passenger center, the rear plaza (transportation plaza), the front plaza (landscape plaza), the public bus lot at the back of the station and the public bus lot in front. Passages connect each part. 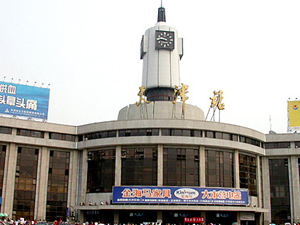 The station building was selected as one of Tianjin&apos;s ten landmarks in 2009. The first floor: It has waiting halls and offices. The ground floor: It has the central entrance hall, the entrance halls for the south and north buildings and the platform. Basement Level 1: It has the underground entrance hall, the east and west exit passages, a public area, a service area, an equipment area, a taxi waiting lot, and a parking lot. Basement Level 2: It has the waiting hall for metro lines 2, 3 and 9. Basement Level 3: It has the platforms for subway metro lines 2 and 9. Basement Level 4: It has a platform for another metro line. Currently, the Tianjin Railway Station building consists of the North Terminal (for the Beijing to Tianjin Intercity Rail), a waiting hall, an underground entrance hall, subway platforms, passenger passages, baggage transport routes, and the South Terminal. The station can accommodate up to 6,000 passengers. The first floor of the North Terminal has the central entrance hall, and the second floor level has the waiting hall. Below ground is the underground entrance hall. On the south and west sides of the underground entrance hall are the east and west exit passages. The platform provides shelter from the weather. There are 62 ticket windows, and 23 automatic ticket machines that sell tickets for the Tianjin to Beijing Intecity Rail. There are 65 automatic entry and exit gates.